California is the most populous and the 3rd most extensive of the United States. It is in the Pacific Region of the United States. The state attained statehood on September 9, 1850, becoming the 31st state to join the union. It has three (3) bordering states including Oregon, Arizona, Nevada. See the complete list of the states and their borders here. 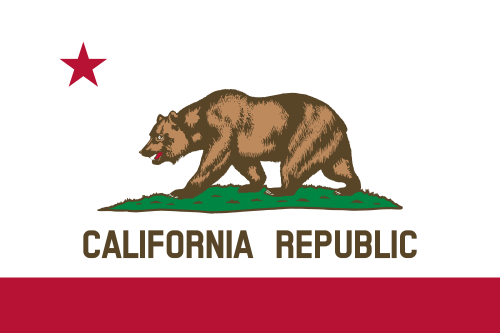 California (nicknamed: the Golden State) has 58 counties. The state’s capital is Sacramento. California is also famous for Disneyland and beaches. With these facts about California, let us learn more about its geography, history, people, economy, and more. 2. The first motion picture theater was opened in Los Angeles on April 02, 1902. California (in red) on the U.S. map with bordering states. 4. The world’s oldest male bodybuilder Jim Arrington is from Venice, California. He was born in 1932 and has been bodybuilding for the past 70 years. 5. Alex Honnald, born in Sacramento, California is an American rock climber. He is best known for his free-solo ascents of big walls. On June 3, 2017, he became the first climber to free solo Yosemite’s 3,000-foot El Capitan wall. 6. In 1949, the income from agriculture in the state was around $2.3 million. However, after some forty-five years in 1995, the same income grew to a whopping sum of $2.6 billion. 7. 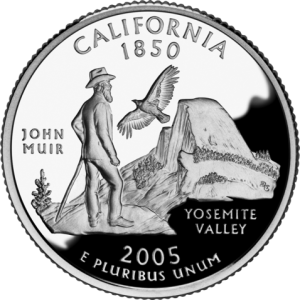 Gold was discovered in California in 1848 at Sutter’s Mill by James W. Marshall. After the discovery of the gold, people visited the region from as far as China and Australia. 8. Between 1st April 1940 and 1st July 1947, California gained 3,000,000 new residents through migration. This number is the largest of any kind of migration that ever took place in any of the U.S. states. 9. Almost 5 million tourists were visiting California every year by the late 1990s and the travel and tourism industry generated approximately $75 billion annually. California is the number one travel destination in the U.S.
10. California is also the birthplace of semiconductor and the Internet, which brought digital revolution in the world. The first of the three astronomical observatories was also constructed in California. 11. Did you know that an activist named Julia Butterfly Hill ascended a thousand-year-old redwood tree in California in December 1997 and remained there for a period of next two years until her demands were met? If you are guessing what she was demanding, learn that she was against the harvesting of the old redwood trees in the Headwaters Forest of Humboldt County. 12. Pauline Potter from Sacramento, California is the world’s heaviest woman alive. She weighed more than 600 lbs at the time of setting this world record. 13. Arnold Schwarzenegger became the governor of California on October 07, 2003. 14. California is divided into two regions, Upper California (Alta California) and Lower California (Baja California). 15. The northern part of California is home to the iconic Golden Gate Bridge, the hills of San Francisco, and the state’s capital Sacramento. 16. In 1579, Sir Francis Drake visited California and took possession of the country in the name of Queen Elizabeth. He called the land New Albion. 18. The Mojave Desert, at more than 25,000 square miles (65,000 square km), occupies one-sixth of the land area of California. 19. The first ever supersonic flight was achieved over lake Muroc, California in a Bell-XS 1 rocket aircraft. The captain of the flight reached Mach 1.015 at an altitude of 42,000 ft. The flight happened on 14 October 1947. 20. Juan Rodriguez Cabrillo and his crew on September 28, 1542, were the first Europeans to enter California. 21. The state produces a whopping 80% of the world’s almonds. The state is also the nation’s top producer of lemons, apricots, avocados, dates, figs, grapes, kiwi etc. 23. More than 6500 types of plants thrive in California. 24. California has 41 mountains exceeding 10,000 m in height. It is the only state in the U.S. with an extensive seacoast, high mountains, and deserts. 25. Central Valley in California is its single most productive region and one of the most productive in the world. 27. The largest surfboard measuring 12.83 m in length, 3.37 m in width and 0.41 m in thickness, was ridden by 66 people on Huntington Beach, California on 20 June 2015. 28. Mount Whitney in California is the highest point in the U.S., outside of Alaska. 29. California is also the powerhouse of one of the biggest film industry in the world – Hollywood. It is estimated that more films are shot in California than in any other state. 30. The Grizzly bear is one of the states most notable symbol. It is found on both the state flag and seal. It was designated the official state animal in 1953. 31. California has 6 of the top 10 most polluted U.S. cities. Majority of the pollution caused in the state is because of the high number of cars and trucks in the region. 32. There is a Volkswagen car graveyard in California. The automotive giant had to buy back its vehicles worth billions of dollars after the emission scandal it faced. 33. In March 2018, a California Judge ruled that coffee companies must provide a cancer warning because of the presence of a cancer-causing chemical produced in the roasting process. 34. On April 18, 1906, an earthquake hit California which resulted in the death of nearly 3000 people and a loss of over $500 million in property damages. 35. The state is also home to the world’s tallest tree – Redwood. These trees can reach a height of over 300 feet. 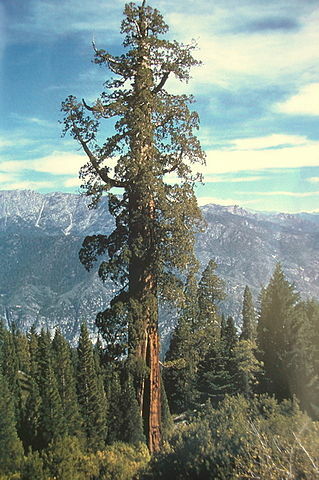 Particularly, a tree in the group named “Hyperion” is the tallest known living tree of all at 379.7 feet.